Drugs and earlier diagnosis are beating cancer – Does CRUK understand what’s going on? New data presented by Cancer Research UK shows that death rates for four cancers (accounting for half of all cancer deaths in the UK) have fallen by almost a third since the early 1990s. Between 1991 and 1993, 146 people out of every 100,000 could have expected to die from one of these four cancers but by 2010 to 2012 these figures ‘dipped’ to 102 out of every 100,000. CRUK claim the figures show that ‘research has had a powerful impact on the fight against the disease’. For breast cancer the death rate fell by 38%, while bowel, lung and prostate cancer fell by 34%, 27% and 21% respectively. There has been improved detection of breast cancer through routine screening and ‘experts’ have developed more specialist care and effective treatments, the charity said. There have also been improvements in the early detection and development of treatments for patients with bowel cancer. 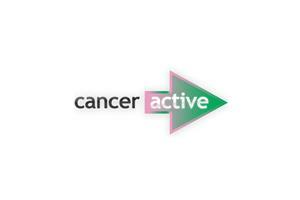 And the recent introduction of bowel cancer screening is likely to further reduce mortality rates, said the charity. Improvements in treatment as well as earlier diagnosis are thought to have contributed to the reduction in prostate cancer deaths. While death rates in lung cancer have fallen, the charity warned that there has been little improvement in the outlook for those diagnosed with the disease. It has pledged to improve lung cancer mortality through earlier diagnosis and trials for improved treatments. "Research continues to help save lives from cancer, and these figures offer renewed encouragement that progress continues," said Cancer Research UK’s chief executive Harpal Kumar. "The UK remains a world leader in cancer research, responsible for many of the breakthroughs that have reduced the impact of cancer. But while the death rate for the four biggest cancer killers falls, it’s vital to remember that more needs to be done to help bring even better results over the coming years. Let us be clear. If two identical twins develop cancer on the same day, and one is diagnosed after two years, the other after four, yet both live seven years, one will pass the five year survival line, the other will not. Early diagnosis can be helpful, of course, and in some cases makes the cancer easier to treat, but statistically it can also be manipulation of figures. On death rates, one ignored factor is immigration. With 380,000 older people leaving the country every year and 640,000 younger people arriving, deaths per 100,000 of population are going to fall anyway. There have been advances in drugs. But as yet there is no drug known to man that kills the cancer stem cells at the heart of cancers. Cancers can be knocked back 70% but will regrow. So how are people ‘being cured’ - this is where the real ‘treatment advances’ have come. 2012 research by the NCI shows that poor diet will help the cancer re-grow. Good diet will prevent that happening. The American Cancer Society has shown that since 2006 there has been an explosion into research into complementary therapies with overwhelming evidence that diet, exercise and weight control increase survival and even prevent a cancer returning. 30 years ago there were no complementary or integrative centres in the UK. People did not access the Internet. They could not find research on diet, supplements, exercise and alternative therapies. Now there is a much greater awareness of ‘Self-empowerment’. If CRUK thinks its drugs are what lies behind the improvement in data, at best it is being rude to the patients of Britain, at worst it has its corporate head in the sand.